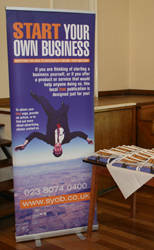 Start Your Own Business was formed in 2005 to help anyone running their own business or thinking of doing so. The aim then and is still today to provide a useful selection of FREE start-up resources and to highlight the support that is available in each area on a LOCAL basis. Over time, the papers grew both in size and in area of coverage but it was only when the information could be shared via the Internet that things really started to boom. 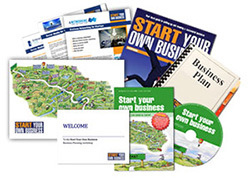 We can now offer useful local information, the theory of starting a business, hints, tips and the latest news to start-ups all over the world without having to worry about crippling print and distribution costs. The website has proved to be extremely popular and currently ranks in the top 5% of sites worldwide according to Alexa. We are a small friendly team and always welcome enquiries from business owners in need of some guidance or from anyone who can offer help and support. Quite by accident, I discovered at an early age that it is possible to make money whilst doing something that you enjoy. As a pupil at an all boys school, myself and a mate decided that we would run a school disco in the hope that we might meet some local girls! The event was planned with military precision (well, that's my story and I am sticking to it), it was a great success, and made a tidy profit. From that moment on (or probably long before that) my interest in academic work was replaced with the desire to enter the big wide world of enterprise. The story from there includes some success but also one or two ventures that did not go to plan (selling Christmas trees door-to-door was not one of my better ideas!). 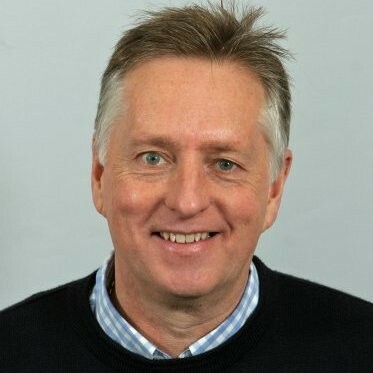 This first hand experience combined with almost 20 years of working with hundreds of start-ups has re-enforced my love of enterprise but also stirred a desire to ensure that others have the best possible chance of success by sharing both what to do and what to avoid. SYOB was created with the sole aim of highlighting the help that is available to new business start-ups and encourage its use. The company is a privately owned company and does not receive any public funding. As such, it does need to make a profit rather than a loss but success for us is measured by how many people benefit from the site rather than the size of the bank balance (although our bank manager may have a different view!). Accordingly, we hope that if you are planning to start a business, you will find the site both interesting and useful. 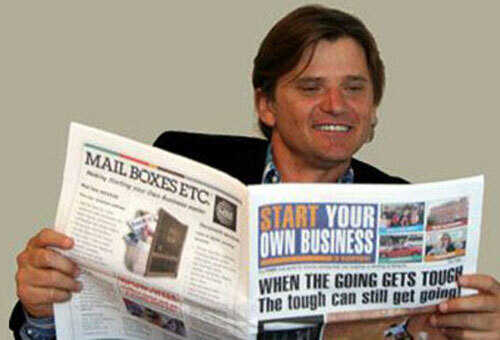 If you offer a product or service which can help start-ups, we would be delighted to help you spread the word.